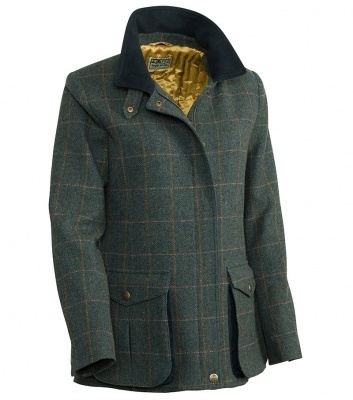 A Hoggs classic, the Sherborne Jacket offers timeless country style with a contemporary edge. Crafted from 100% pure wool and with an overcheck of gold and coral this jacket takes you from outdoor adventures to city living with ease. 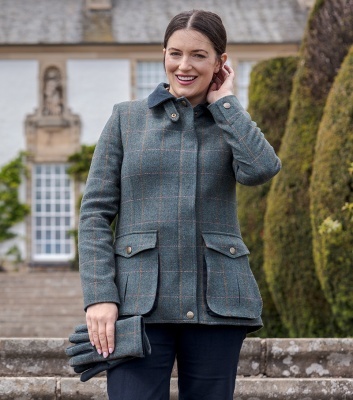 It is lightly quilted for warmth and you can turn the collar up for outdoor protection or wear down for a more casual look. Semi-fitted for a flattering shape with large hip pockets for all your outdoor essentials, one internal pocket, full zip with storm flap, moleskin collar and back vents.